Below is a selection of Charody’s works for unaccompanied choir, choir & orchestra as well as choir & orchestra with featured soloist & children’ choir. Image: ‘Morning Blossoms’ being premiered in 2016 at Theater De Spiegel, The Netherlands featuring The Netherlands Symphony Orchestra conducted by Tecwyn Evans. Morning Blossoms (libretto by Malcolm Rock) is the title piece of Charody’s operatic musical ‘Morning Blossoms’ that toured The Netherlands in 2016 with The Netherlands Symphony Orchestra conducted by Tecywn Evans. Image: ‘Looking The Part’ being premiered in 2016 at Theater De Spiegel, The Netherlands featuring The Netherlands Symphony Orchestra conducted by Tecwyn Evans. Looking The Part (libretto by Malcolm Rock) is a work for choir, children’s choir & orchestra that was originally composed for Charody’s operatic musical ‘Morning Blossoms’ that toured The Netherlands in 2016 with The Netherlands Symphony Orchestra conducted by Tecywn Evans. 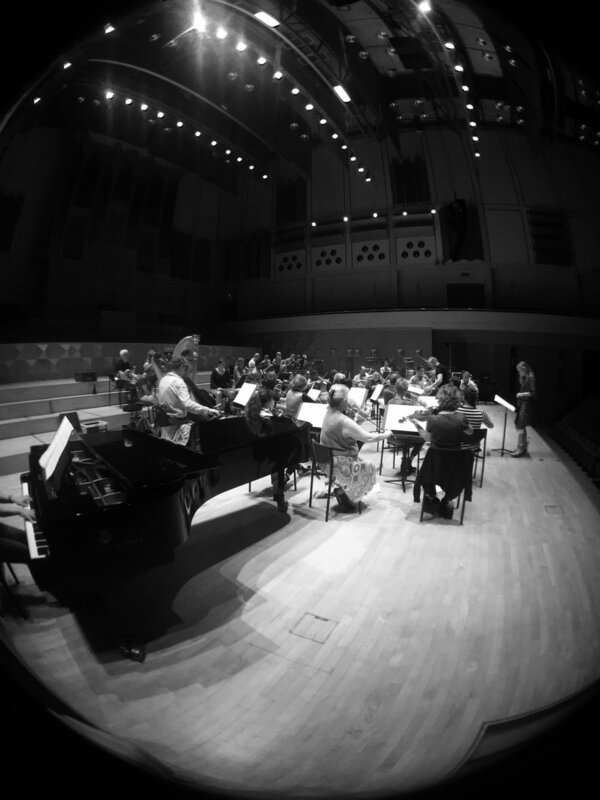 Image: Charody in rehearsal with The Netherlands Symphony Orchestra in June 2016. Sodden (libretto by Malcolm Rock) is a work for choir & orchestra (with featured soprano) that was originally composed for Charody’s operatic musical ‘Morning Blossoms’ that toured The Netherlands in 2016 with The Netherlands Symphony Orchestra conducted by Tecywn Evans. Image: Celiné Purcell performing ‘Unbury’ in Charody’s operatic musical ‘Morning Blossoms’ that premiered at Theater De Spiegel, The Netherlands in October 2016. Unbury (libretto by Malcolm Rock) is a work for soprano, choir & orchestra that was originally composed for Charody’s operatic musical ‘Morning Blossoms’ that toured The Netherlands in 2016 with The Netherlands Symphony Orchestra conducted by Tecywn Evans. This work is also available with piano reduction and in a lowered key for musical theater singers.